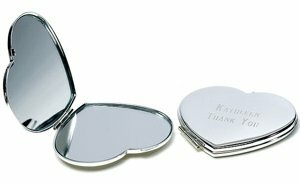 A great gift for bridesmaids, mothers and attendants, these classic heart-shaped compact mirrors are silver plated to retard tarnishing. 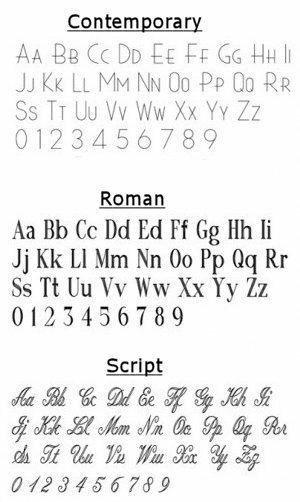 For a small fee, you can customize them with up to two lines of text such as her name and a special message like thank you. 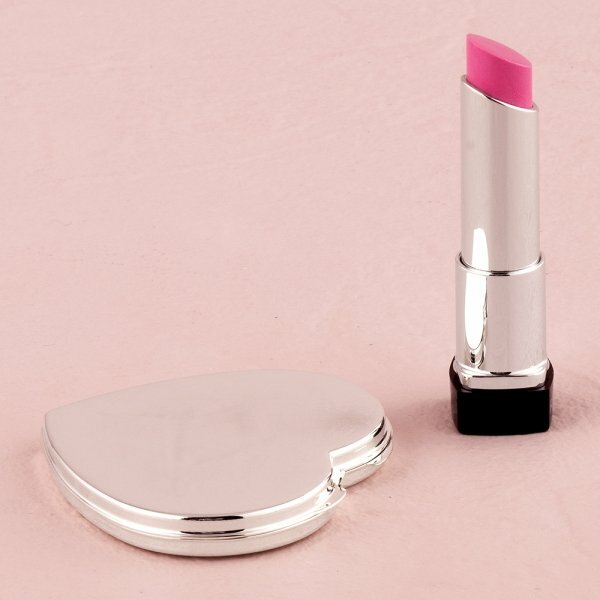 Minimum order is 2 compacts. Product dimensions - 2 1/2" Diameter. 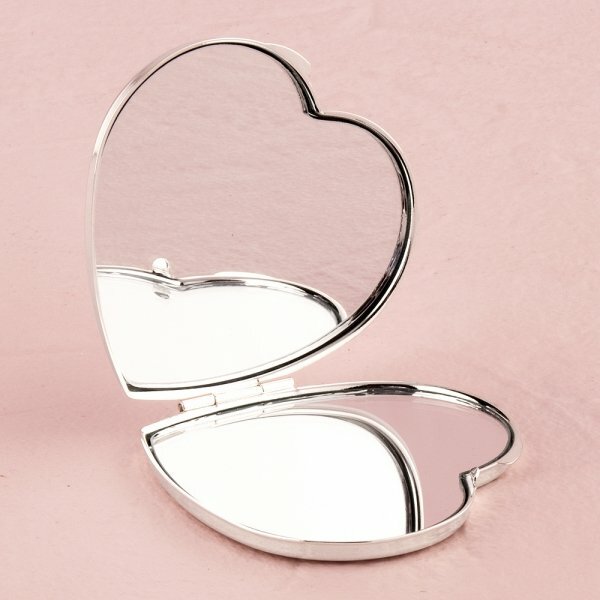 I'm looking at the classic heat shape mirror compact does it come in a little bag to protect it? 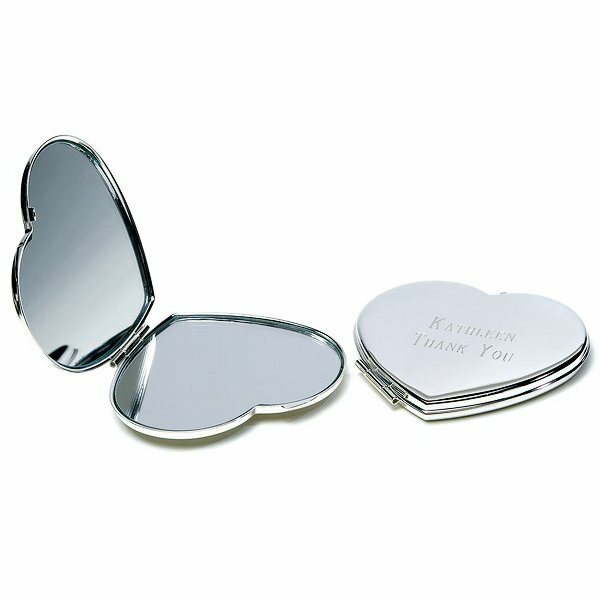 Yes, the Classic Heart-Shaped Compact Mirror comes in a protective bag, like a small poly-plastic bag.